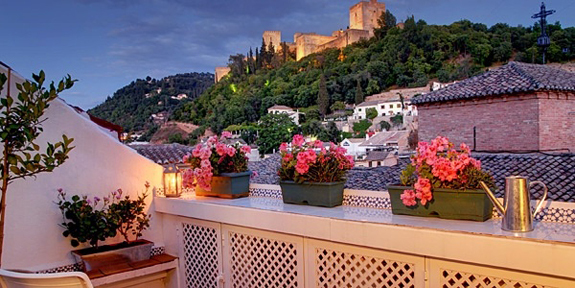 Start your trip in style in glorious Granada, which is just a 90-minute drive from Málaga airport. 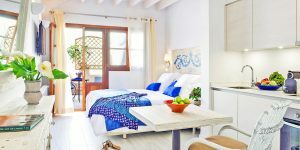 Muralla Ziri Boutique Apartments are great for a 3- or 4-night stay (long enough to soak up the atmosphere of this enchanting Moorish city), with the option of cooking up your own feast or exploring the local tapas scene with insider tips from the friendly owners. The history of the area is reflected in the décor of these apartments through intricately carved plaster friezes and geometric woodwork. 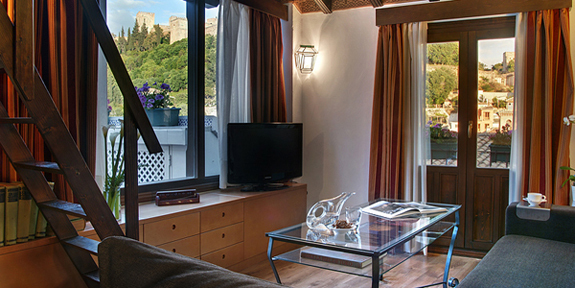 Book into the Penthouse for a fantastic view across the Darro gorge to the Alhambra. Wow. 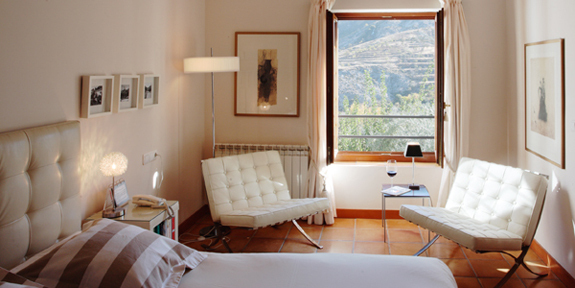 If you fancy a break from the crowds, a 10-minute drive will take you to La Almunia del Valle, a boutique hotel in the foothills of the stunning Sierra Nevada. Set in a national park, this is a wonderful place for outdoor pursuits: strike out on a hike from the front door, take in the views on horseback, or whizz down a river on a raft. You can even ski here in winter. 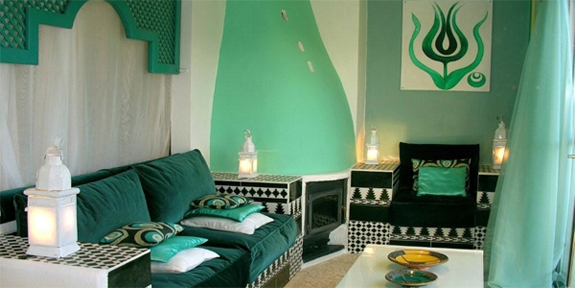 Inside, the rooms are both stylish and comfy. Beds are beautifully dressed, each room has window-facing armchairs, and the ensuite bathrooms are spacious and full of extra touches like pretty glasses and candles. In summer, the French windows in the communal sitting room are flung open onto the roof terrace; in winter, the same room is warmed by a toasty open fire. 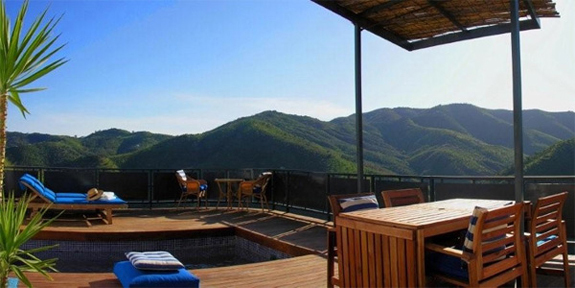 A 90-minute drive away through jaw-dropping scenery is the small but perfectly formed Casa Rural Las Chimeneas. 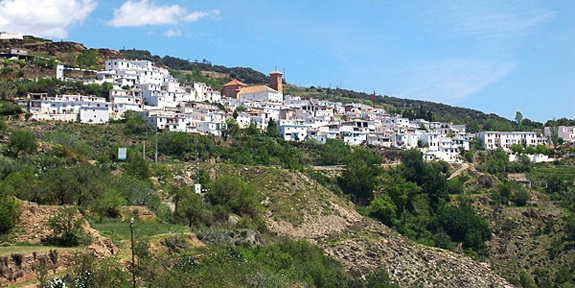 Peacefully situated in a small village at the eastern end of La Alpujarra, you’re just as likely to encounter a donkey as you are a car on your way to the village square. 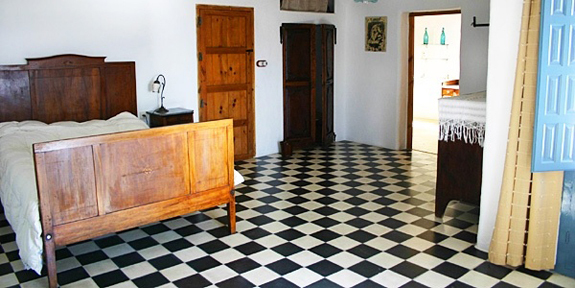 Choose between an ensuite room in the main house or a casita (small village house) with 1 or 2 bedrooms and a kitchen-living area, all of which feel beautifully in sync with the local architectural style. If you love walking, this is the place for you. 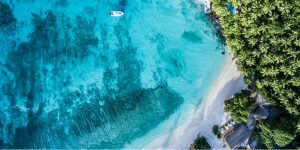 You can book all-inclusive walking trips or, if you prefer to be more independent, the friendly owners will pass on their extensive knowledge of local routes. The 2 resident labradors, Mollie and Maya, are enthusiastic hiking buddies if you’d like some company. When your legs are weary, you can learn to make cheese or soap with a local expert, visit a winery, or join a Moro cookery course, which usually runs in early summer or autumn. For a final treat, head to Fountainhead before your flight home. 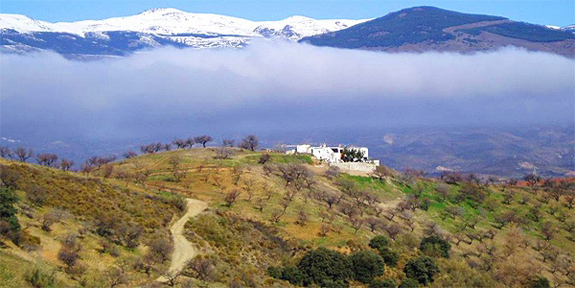 Set in the mountains close to Málaga, it’s a wonderful retreat, perfect for recharging those batteries after a big drive. With just 4 totally private suites, it’s seriously peaceful and intimate. All 4 suites have the feeling of an Aladdin’s cave, with a healthy dose of tongue-in-cheek fun: think beautiful fabrics and bold colour schemes. This is a place for winding down. 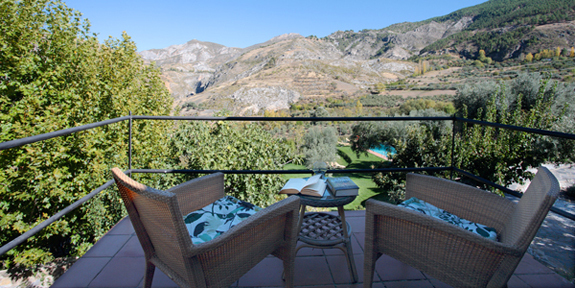 Relax on your terrace, enjoy a dip in your private plunge pool, and take in the marvellous views across the olive groves to the mountains in the distance. Come evening, indulge in the restaurant, where picture-perfect food is served alongside a really impressive wine list. We chose Lebanese meatballs with harissa, followed by seared tuna served with olives, capers, lemon and tomato… That must have whet your appetite.